In the second season Simpsons episode “Simpson and Delilah,” Mr. Burns says, “I was watching the DuMont last night, when I happened to catch a fascinating documentary on Rommel, the Desert Fox.” The DuMont Television Network existed for ten full years (1946 to 1956), but its pop culture presence has since been reduced to that one joke, a small tip of the hat from the second “fourth network” to its predecessor. I could write an entire website about the strange history of the DuMont Network (in fact, a fellow named Clarke Ingram already has, and it’s excellent), but my goal today is a much more modest one: to look at what the network was doing on Tuesdays in the fall of 1952, and discuss what that slate of shows says about the DuMont’s short life. Since so little DuMont programming exists—nearly all of their shows were shot live, and few were preserved—I can only go by what others have written on the subject. But this lineup makes one thing clear: they simply didn’t have very much money. While most TV was relatively low-rent in the early 1950s, DuMont lacked the prestige shows that NBC and CBS had. The first thing that jumps out (to my eyes, anyway) is the presence of a half-hour of local programming in the middle of the schedule. In truth, that wasn’t as unusual as it seems at first glance. While DuMont was the only network to have gaps within its schedule, the other three networks all had evening time that belonged to the affiliates. Most notably, ABC had only a half-hour of network programming on Tuesday nights. At the time, it was DuMont’s closest competition for the slot of “third network,” as the other two were long-established radio networks and ABC was a relative upstart. That local half-hour at 7:30 was actually a pretty plush time slot in DuMont terms, because it was surrounded by two of the network’s longest-running shows. It was preceded by Captain Video, which is notable for being the first science fiction show in the history of US television. (Editor’s note: Man, that should have been our first space opera roundtable entry. – Les) It had premiered way back in 1949, and it ran for a total of six seasons. Captain Video’s adventures spanned the entire solar system, and the show captured the imaginations of the era’s kids. It also attracted many of the era’s most prominent sci-fi writers to contribute scripts, including James Blish, Isaac Asimov, and Arthur C. Clarke. On screen, those scripts were hampered by DuMont’s limited budget. It was so low, in fact, that Captain Video—the Commission of Public Safety’s very own superhero and valiant protector of the solar system—wore a regular army uniform with lightning bolts added to make him look like a spaceman. Most of the props were cobbled together on the fly from the hardware located beneath the studio. In the most audacious money-saving measure of all, about one-third of each episode was devoted to clips from old Western movies, said to be the adventures of Captain Video’s undercover agents. After 8:00, the night’s remaining shows were all even cheaper to produce. While Captain Video required spaceships and bizarre props, the other shows were all straight-forward discussion or game shows. The first of these was also the most successful. Life is Worth Living aired opposite NBC’s powerhouse Texaco Star Theatre starring Milton Berle, but it appealed to a very different—and very large—audience. 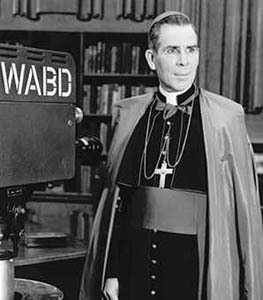 Hosted by Bishop Fulton J. Sheen, the show consisted entirely of the priest talking directly to the camera, discussing the day’s issues in his signature intense, dramatic fashion. Despite his solemn facade, he often lightened his monologues with a touch of humor. The network’s biggest star, his run on TV outlasted DuMont by several years, lasting until 1968. 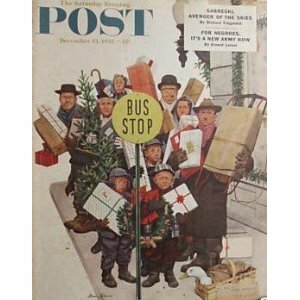 Life is Worth Living was followed by Keep Posted, a current affairs panel discussion whose title was a play on that of its original sponsor, The Saturday Evening Post (a magazine that is currently bimonthly, by the way.) Like Bishop Sheen, Posted moderator Martha Rountree was an unlikely star, and one of TV’s most influential early voices. She had previously created NBC’s Meet the Press, and remains its only regular female moderator. Like that show, Posted featured interviews with public figures, conducted by a panel of citizens. Rountree’s influence allowed the show to attract some big-name political guests—most notably Rep. Richard Nixon of California—but it never gained the respect of its Sunday morning sibling, and it faded away after a third season. The evening closed with two game shows, neither of which ever managed to establish much of an audience (or an identity, for that matter). The first, Where Was I?, has a history as muddled as its titular question. The show ran for just over a year, from September 1952 to October 1953. In that time, it went through three hosts—Dan Seymour, Ken Roberts, and John Reed King. According to Alex McNeil in his classic book Total Television, the show “went through at least two formats,” both of which featured celebrity panelists trying to guess things. Originally, it was the location visited by a contestant at a certain time. Later, it was the subjects of photographs hidden from their view (but seen by the audience). 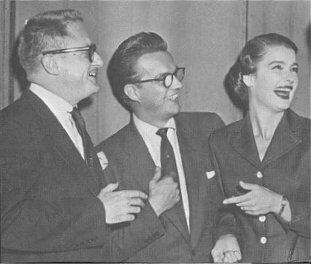 The show featured some talented panelists, including veteran game show host Bill Cullen, future talk show staple Virginia Graham, and pianist Skitch Henderson. But it sounds like it was essentially an excuse to let that panel joke around, and the appeal didn’t last long. The second game show was Quick on the Draw. It too ran for about a year, from January to December 1952. It too went through two hosts, Eloise McElhone and Robin Chandler. It too featured a panel of minor celebrities who tried to guess at something. But in this case, at least that something remained constant. Each week, members of the panel tried to guess a common phrase. 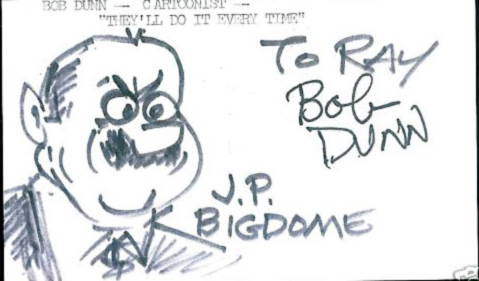 The clues came in the form of sketches from cartoonist Bob Dunn, and were generally silly or pun-based. Audiences quickly grew tired of a solid hour of jokey celebrity panels, and the block was broken up after just three months. The DuMont Network itself only lasted for three more seasons after this one, unable to create a greater impression than any of its individual shows. Today it’s only a minor curiosity in TV history, but I’ve always wondered how it would have developed over the years. Decades later, other new networks established identities quickly and easily. Or did they? Come back next month, when we look at another odd lineup from a short-lived network. Tagged: 1952-1953, Captain Video and His Video Rangers, DuMont, Keep Posted, Life is Worth Living, Quick on the Draw, Where Was I? Thanks for the link to the Ingram site. There sure was a lot of interesting (on paper, anyway) programming in the Golden Age. I wish networks today were as versatile and wide-ranging in their schedules (while acknowledging most of DuMont’s programming was likely swill). 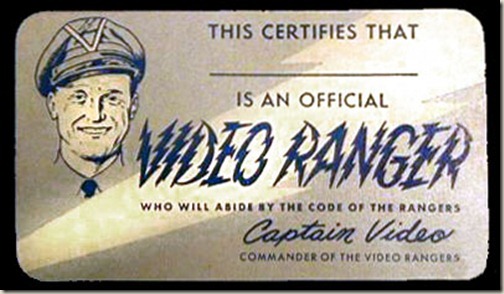 I’d love to see CAPTAIN VIDEO. Probably because they couldn’t be spared from their live TV schedule, the stars were unable to appear in the serial, which may have been the first time a television series was spun off into a film version. Good call. Yeah, it must be the first time. I remember seeing the episode of THE HONEYMOONERS where Norton watches CAPTAIN VIDEO, and thinking it was a silly, made-up name. There were a *lot* of these shows then: TOM CORBETT, SPACE CADET; SPACE PATROL; ROCKY JONES, SPACE RANGER; FLASH GORDON; CAPTAIN MIDNIGHT. Not sure how many still exist. Some of the ROCKY JONESes were syndicated as movies and ended up on MST3K. Poor, forgotten DuMont Network. I always thought Captain Video was rebooted in the 80s, but I just realized I was thinking of Captain Power. Understandable, I think, as they share the same rank. Also: It’s remarkable to think that a TV show featuring a bishop talking for half an hour could be relatively successful. I never knew the difference between Captain Power and Captain N. But also, “Captain Video” sounds very much like it would be a show from the 80s. thank you for this, Anthony! i could learn more about the DuMont Network all day every day. that Ingram site IS amazing, and very thorough. there are surviving episodes of Captain Video, Bishop Sheen, etc. available online…just sat through a ’49 /DuMont-era episode of “Ellery Queen” and, well, remembering many of these shows (and DuMont itself, whose underdog, sure-took-many-a-beating history i tend to romanticize) is perhaps better in theory. would love to read more about these very early years of television, esp. DuMont, on ThisWasTV! thanks again! Glad you enjoyed it! I’ll have to look up some of those episodes. this site has some episodes of The Goldbergs, Ellery Queen, Rocky King, more. have some beer, and some patience. enjoy!